The European combined transport fleet is aging and in ten years from now, will need to be upgraded. However, with the technical specifications of the wagons today, this will be a challenge. This is one of the conclusions in the Combined Transport in Europe report 2018, published by BSL Transportation Consultants and the International Union of Railways (UIC). The report was presented in the UIC head office in Paris on Wednesday. Every two years, the partners carry out an assessment of the combined transport market. 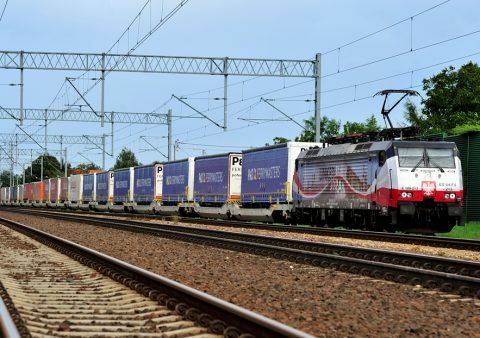 For the first time this year, the report includes insight in the wagon fleet. The more than 64 thousand wagons have an average age of 20 years. 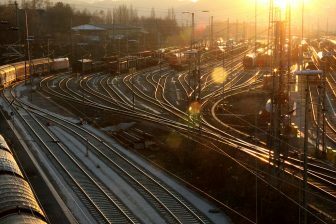 The combined transport volumes are on a steady rise, unlike the general rail freight volumes which have been almost the same for the last ten years. Since 2005, combined transport traffic volumes increased by 50 per cent. Compared to 2015, the figures rose by 7.2 per cent. 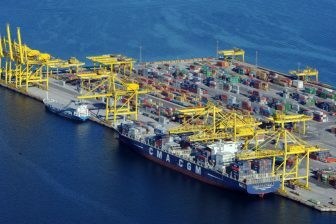 And the future looks bright: the expectation is that in the next two years, the volumes increase by around 10 per cent. The lion share of combined transport in Europe is unaccompanied, and the key driver for growth is international traffic. Cross-border movement has grown by 81 per cent since 2005, and 12 per cent since 2015. The total volume of combined transport traffic amounted to 22.5 million TEUs in 2017. The rail leg is on average around 800 kilometers. These figures are in line with the expectations pronounced two years ago. The sector sees a steady growth, and that is fortunate because combined transport is in fact the answer to the climate prayers, argues Ralf-Charley Schultze, CEO of the UIRR. “Combined transport is a low-hanging fruit, needed to achieve the climate goals set by the transport industry”, he noted. But there are also challenges ahead, the report proved. The average age of the current dedicated combined transport fleet is 20 years. Wagons have a lifetime of around 40, sometimes 45 years. So in 10-15 years, a massive upgrade will be required. However, it is quite difficult to meet the changing market conditions at the moment, the BSL argued. On the positive side, the pocketwagon fleet is relatively young, and it here where most investment is expected, they added. Most European countries show some level of support for the combined transport sector, the report concludes. Eighteen countries could be defined taking some measures favourable to the sector, although six countries have no national funding programme. These countries are Norway, Spain, Slovakia, Slovenia, Latvia and Estonia.